Yes, the Arkle Challenge Trophy is a serious speed chasing event and one of the most watchable of even the Cheltenham Festival's majesty of riches. Mix inexperience with danger, liberally sprinkle tip top talent and add more than a soupçon of jockeys' desire to get on the scoresheet, and you have a recipe for thrills, spills and high class equine skills. 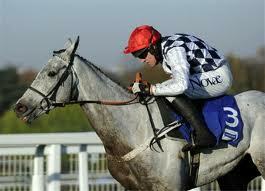 This year's Arkle seems / seemed to be at the mercy of a horse of Nicky Henderson's called Simonsig. I use the present and past tenses to reflect the fact that, at time of writing, Simonsig is due to miss his intended prep race for Cheltenham due to a tracheal wash which was "only 95%". This wonderfully open-ended, and typically Hendo-esque, sound bite gives hope both to short-priced money buyers and value hunters alike. 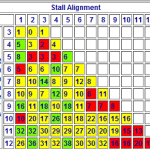 Those who have many fives which they're prepared to risk for the addition of fours (yes, he's a 4/5 shot) will be praying that all is well enough for the 'sig to make the stage still. Those who sniff around for a less likely winner at a more lively price will be sensing the propensity for profit in the prospective absence of one of jump racing's most ascendant stars. In this post, I'll look at the trends, the form as it stands, and project my likeliest - and best value - options for wagering ante-post on the Arkle. The first obvious thing to note is the shortness of Simonsig's price. If you're a fan of his, then you'd surely want to be betting 'with a run', in case he doesn't make it. Taking slightly shorter (8/11) to insure the position, in light of this week's news, is surely a no brainer. But what of previous shorties in this race? Since 1997, eleven horses have been sent off 3/1 or shorter. Nine of them have been beaten, including 11/10 Mulligan, 7/4 Decoupage, and 7/4 Noland. The two winners in that price range were Azertyuiop at 5/4, and Sprinter Sacre at 8/11 last year. Now it's my opinion that Simonsig is not the second coming of Sprinter. Of course, he might turn out to be as good, but at 4/5, there's a heck of a lot to be taken on trust, even assuming he shows up! Indeed, only five of the 44 win and place positions in those fifteen years have been claimed by horses outside of the top six in the betting, so the message is clear: don't get too cute here. So, don't be prepared to forgive a poor last time out run: it's highly unlikely the offender will be able to turn over a new leaf here. To put a little perspective on that, only one 9yo+ even made the frame from twelve triers in the last decade and a half. That was Nipper Reed before we became 21st century boys (1999). He was a 10/1 chance that day, but shorter gold-plated oldies have failed to hit the board, including Barton (9/2) and Captain Cee Bee (5/2) as recently as 2010. Given that Overturn is the second favourite, we have a situation where it's possible (though not probable) the favourite won't run, and where the second choice is too old in the context of history. It's then double figures the rest in a race which often produces short fields (just five horses took Sprinter Sacre on last year, though that could be because they were scared off). Five to seven year olds have won nineteen of the last 21 renewals, and it makes sense to focus energies there. In that context, it may interest you to know that Arvika Ligeonniere is eight, and is the third favourite! Do you see where I'm going with this? It seems obvious that in a race like the Arkle, where there's nowhere to hide, chasing experience is important. The statistics seem to bear that out, with twelve of the last fifteen winners having had three to five chase starts (three had three chase starts, eight had had four chase starts, and one had five chase starts). Mulligan (11/10), Decoupage (7/4), War Of Attrition (11/4), Noland (7/4), and Somersby (4/1) were all short-priced horses to try - and fail - to overcome relative inexperience here. Well Chief, Tiutchev and Champleve did all defy relative inexperience and all were priced between 13/2 and 9/1, so I guess the summary is demand a fair price if you're chancing a rookie fencer. Pulling all of this together implies we would be well served to look for a horse which is in the top five in the betting; won last time (or was at least second in Graded company); aged five to seven years; and had two to four chase starts. The trends shortlist would thus be the Hendo pair, Simonsig and Captain Conan. Is Arvika a viable alternative? Trends are interesting enough, and they clearly help to sharpen the pencil around certain aspects of a horse's prospects. But it's form in the book - or promised to the book - which will identify the champ in the chaff. Let's start at the only sensible place: with market leader, Simonsig. As I've said, he's had a small setback and misses his intended prep race tomorrow. All too often for my tastes, horses from the Henderson yard become late scratches from big races. The news from Seven Barrows this week is a concern, but it doesn't stop there for odds-on players either. As a novice hurdler last season, Simonsig's Cheltenham and Aintree championship wins were over 2m5f and 2m4f respectively. In his two chase starts, he won over 2m3f first time out, and then hacked up in a two miler at Kempton. That last run showed he has speed, but it was extremely testing there and he nicked a few lengths at the start putting all others under a bit of pressure from the outset. Now, let's be clear: if he shows up, Simonsig is the horse to beat. On soft ground, where his stamina would come into play, he's the likely winner for me. But if the ground is faster, there are a few questions to be answered: is he quick enough in a two mile championship event? Can he jump fluently enough for one so inexperienced? Is he fit enough after nearly three months off the track? Those are questions to which odds-on backers should know answers before pulling on the betting boots, to my mind. But there are chinks in the armour of most of his rivals too. Firstly, Overturn is nine now. You've seen the statistics, and yet here he is, a 7/2 chance. He's beaten seven finishers in winning three four-runner races. Sure, he's beaten them senseless, in the manner that a robust front-running sort might be expected to. And that brings me onto the likely pace scenario in the Arkle. Now, we don't yet know who will show up but, assuming Simonsig and Overturn both do, we already have a possible speed duel on the front end. Overturn is a front-runner through and through, while Simonsig is more versatile. But if Hendo decided to try to make use of 'sig's stamina, it could compromise the chance of both market protagonists. In reality, that's unlikely to happen, but there's a decent chance that another horse will take Overturn on for the lead. I just can't see him winning, and I think 7/2 is very, very short about that eventuality. Lay material for those of that bent. Fago is next, and he's a seasoned chaser. Seven French chase runs and only one win is not that impressive and, despite a career high effort on his first run for Paul Nicholls, this fellow has surely not got much room for improvement after so many goes over the big brutes. Pas pour moi, as they'd have said over la Manche. Arvika Ligeonniere is interesting, assuming you can spell and/or pronounce his name. Yes, he's eight, which is older than ideal. And yes, he fell last time, which doesn't bode well (unless he's another Moscow Flyer: possible but unlikely). But his form in winning three novice chases in Ireland this term is the best from over there, I feel. He does tend to want to lead, which might be interesting in the context of the aforementioned Overturn pace scenario. But he's a dual Grade 1 chase winner, and arguably sets the form standard. I like him, especially at around 10/1. Captain Conan is three from three, and if he turned up and the ground was soft, he'd be a player. Surely he'll go the Jewson route though, after his narrow win in the Scilly Isles Novices Chase last time. After those five, it's 25/1 the field, which means there's probably some value in there somewhere. Oscars Well finished sixth in the Champion Hurdle last year, and fourth in the Neptune the year before - both top class efforts on good ground - and if it came up boggy he'd have a place chance. But this is a race where few look to hold realistic prospects, and as stated at the outset, it makes sense to concentrate on the top few. Usually in a race like this, it's fairly easy to make cases for the top several in the market. But I'm really struggling to present a compelling argument for Overturn, the second favourite; and the same comments apply to Fago, the third favourite. Simonsig has an obvious chance, and his price reflects that. He might be a horse to back on the day as a saver if you're that way inclined. Otherwise, there looks to be tremendous each way value in the race if you share my contentions about the top trio. 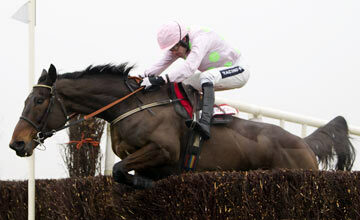 Thus Arvika Ligeonniere (Arr-vee-kuh Lee-jee-on-ee-air), with Ruby Walsh likely to ride, looks a belting each way tickle. It was a soft slithering fall the last day, and he was yet to be asked for any effort (nor, in fairness, were his two rivals), and the 10/1 with Paddy Power and Stan James is value for me. He's 8/1 with BetVictor, non runner free bet. And it might pay to go that route if you're a more cautious type. But I reckon he goes in the Arkle and, despite the presence of other pace pressers, and the probable presence of Simonsig, AL is the value alternative to the favourite. Which? Arvika? Fourth in Albert Bartlett at Cheltenham, and won a Grade 1 at Leopardstown (would probably have won two but for falling LTO). Thanks Matt for an interesting post. My first thought on hearing the news concerning Simonsig was, ‘Here we go again. It’s Binocular all over again.’ I think Captain Conan would be an interesting runner if The Doctor changes plans. the punters who keep racing alive. Have to say i’m suprised that Arvika Ligeonniere is being targeted at the Arkle & not the RSA. Looked a far better horse over the longer trip imo. Good luck all the same. Is Captain Conan definitely going for the Arkle? He’s 4/1 second favourite for the Jewson. Not sure who would ride but McCoy did ride before, and I don’t think he’s required elsewhere in the line up. I didn’t see that Matt, good spot… I only saw the shortened field and shortened odds on the Arkle yesterday (where he’s currently 4th in the betting) and probably jumped to conclusions about his destination. I guess for Henderson there would be little point in going up against Simonsig when there are other options available. Thanks for the reply!